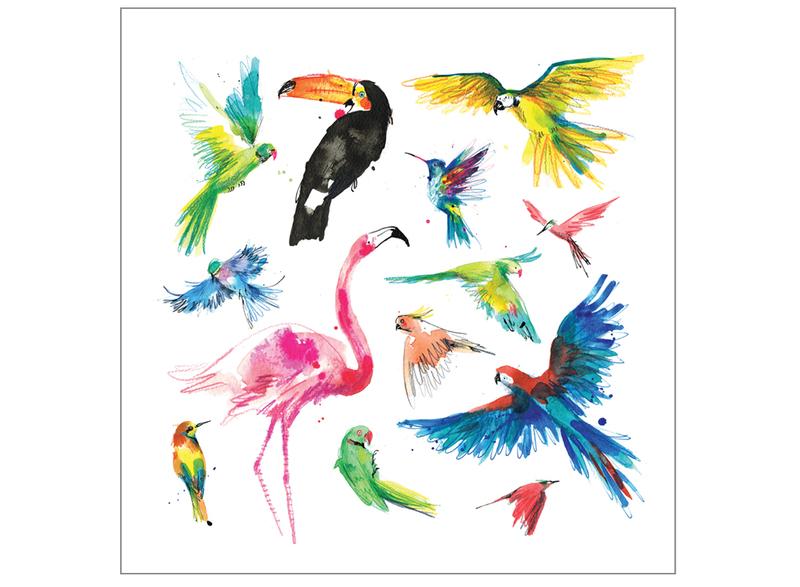 This high quality fine art print of tropical birds includes a flamingo, hummingbird, bee catcher, cockatoos, parrots, parakeets and more. 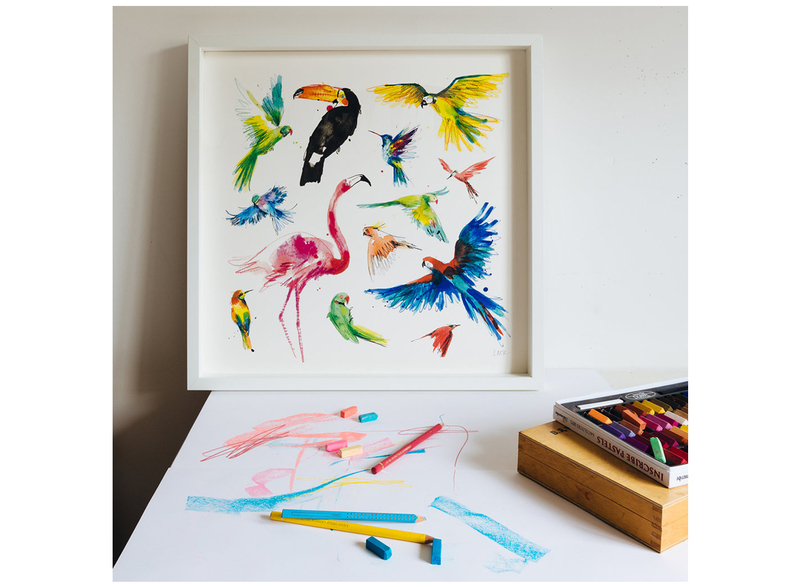 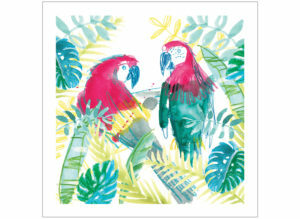 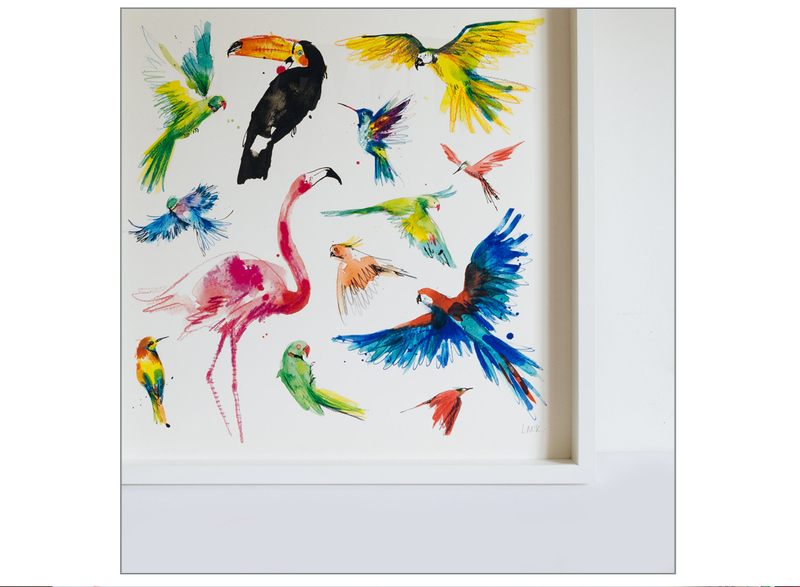 A whole menagerie of brightly coloured feathery friends to brighten any space. 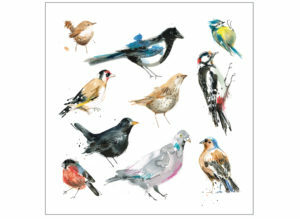 Print of an original illustration in watercolour, ink and colour pencils. 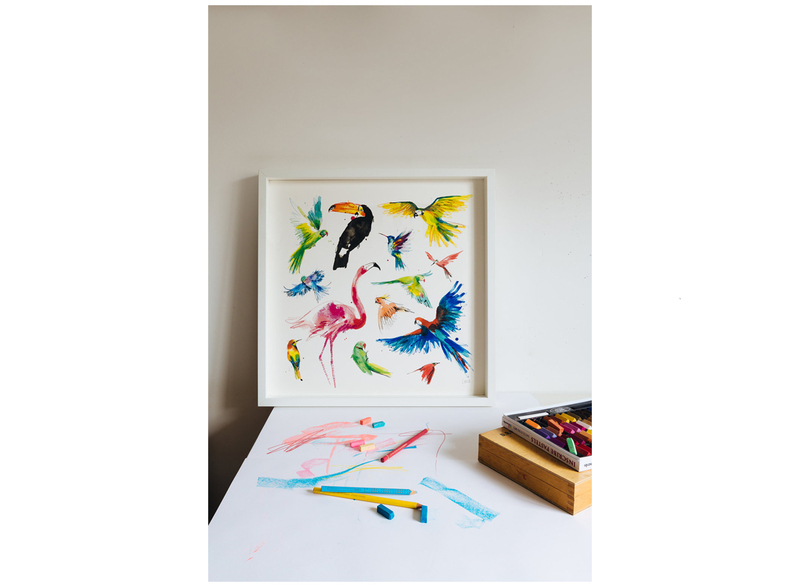 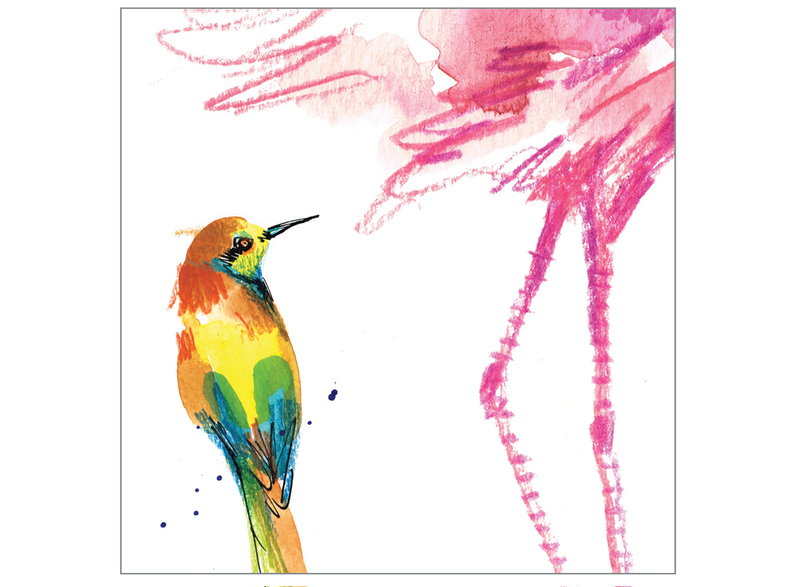 SKU: tropical birds Category: Fine Art Prints Tags: Bird & Beast, Birds, Giclée Print Want to go back and CONTINUE SHOPPING?